The same way good and balanced nutrition helps humans prevent severe illnesses, what your dog eats will influence his lifespan and health too. 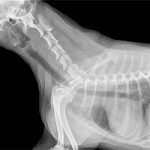 Most people aren’t really aware of the canine cancer risk. It always seems like that’s something that only happens to others, and could never happen to your beloved pup. But don’t get tricked. 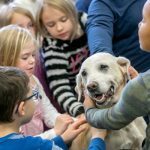 Cancer is the leading cause of death in dogs over the age of 10 and like in any other disease, the factors like genetic predispositions, everyday habits, and environment, determine if your dog will get sick or not. However, there’s no need to be paranoid. Half of all cancers are curable if caught early, and are preventable if approached well. Just give your best to provide your dog with some healthy treats and include some superfoods in his regular nutrition routine and he will surely thank you in different ways. When wanting to eat more healthily and prevent any threatening diseases, people usually decide to include more vegetables and greens in their diet. A lot of these dog owners were wondering if they could share some of their food with their pets. Actually, it turns out that a lot of healthy veggies that humans like to eat in order improve their health can be included in a dog diet as well. Let’s list out the 10 superfoods to include today to your puppy’s diet for better prevention of the deadly canine cancer. 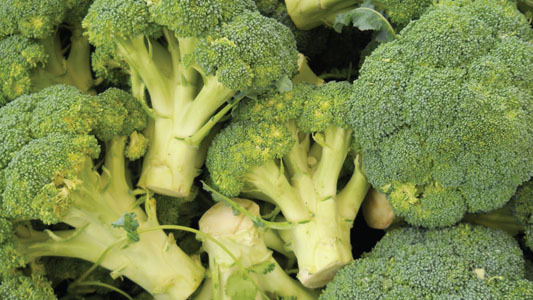 Broccoli has a high level of antioxidants that help fight cancer and other anti-allergy and anti-inflammatory agents. It helps protect your dog against dangerous bacteria and viruses and ultimately, boosts the immune system. This vegetable will provide your dog with a good amount of fiber and vitamin C. Thanks to being very low in fat and calories, broccoli is incorporated more and more into the products of dog food companies. Note that the head of broccoli contains an ingredient that might be considered harmful because it is a gastric irritant for dogs. That being said, the safest part to eat for your furry friend is the stems. Apart from being rich in vitamins and minerals, what makes parsnips so great is that it contains antioxidants that make cancer more preventable. Parsnips have beneficial ingredients that will boost your dog’s metabolism, but also keep his nervous system healthy. Not only does this vegetable has a great source of fiber but it also contains potassium that plays a big role in bone, heart health. The good news is you can serve parsnips to your dog either raw or cooked. If serving them raw, it’s important to cut them into smaller pieces or blend them in order to avoid risky choking as dogs tend to swallow their food. However, cooked or steamed parsnips are a better alternative because this kind of preparation will make digestion much easier. In general, peaches are safe and healthy for dogs and they usually love them. Adding them to your dog’s regular diet will bring some amazing benefits to your pet. This juicy fruit is known to keep the skin healthy and to help fight skin infections. It contains properties that remove toxins from the body by improving liver and kidney functions. Peaches are rich in antioxidants that fight various types of cancer and boost the overall immune system. The only thing you have to do before giving your dog this healthy fruit is removing the pit. Peach pits might be dangerous for your dog because they could choke on them, but also because they contain toxins that might cause a blockage in the digestive tract. Unlike the popular belief, eggplants are actually much more than safe for your dog. There are only several cases in which the eggplant consumption is not recommended, and it’s if your dog has: eggplant allergy, kidney, arthritic or inflammation problems. In all other cases, eggplants can be really healthy for your puppy. It contains nasunin, a nutrient that improves brain function. Not only, but eggplants happen to help in improving circulation and help fight viral infections and dangerous bacteria. What makes this vegetable one of the top 10 anti-cancer foods is a chlorogenic acid which successfully fights cancer and bad cells. You should always cook eggplants properly when serving them to your dog. The raw alternative of the vegetable is not recommended. This leafy vegetable is found to be very healthy for both humans and dogs. Your dog might not take up the same nutritional benefits like you because of the way dog’s body breaks down food. 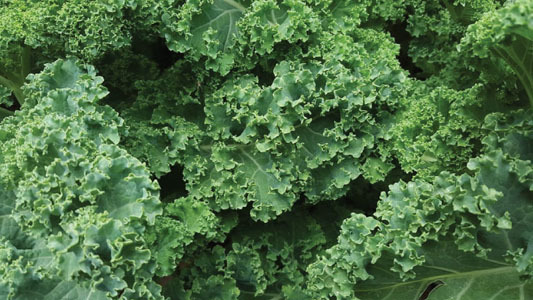 Anyway, kale can be beneficial for your dog due to its high quantity of minerals and vitamins. Talking about canine cancer prevention, this green vegetable is known to help fight colon cancer and helps the overall eye health. It should be given to dogs in moderation. Like many other vegetables, cauliflower is also rich in a wide range of vitamins and includes high levels of antioxidants. Cauliflower contains isothiocyanates and phytonutrients that are claimed to be helpful in preventing cancer. This vegetable might help older dogs that suffer from arthritis as well. Being low in calories, it makes a great snack for your pup. However, before giving it to your dog, cut it into pieces in order to prevent choking and serve it cooked or steamed rather than raw or fried, as it will keep most beneficial nutrients this way. Unlike broccoli, stems contain no nutrients, so in this case, you can cut them off completely. So far, we saw that in general, a higher quantity of antioxidant properties means “great for fighting cancer”. Well, the same stands for cabbage. It helps prevent cancer and other degenerative diseases. But not only, this powerful veggie will also help with your puppy’s digestion and its skin. However, cabbage might cause some gas problems and should be introduced slowly and in smaller quantities. If you’re wondering if you should give your dog raw or cooked cabbage, the latter will make sure that all the healthy ingredients will be well absorbed. Rich in vitamin C, iron and antioxidants – just to mention a few of the benefits plums have to offer. They lower the risk of cancer thanks to their antioxidant properties. But you have to pay attention while giving them to your dog. The same as for peaches, you have to make sure to remove the pit. Fruit pits are dangerous because of potential choking, but might also be poisonous for puppies. If you do this crucial step and give plums as an occasional treat to your dog, it can be very beneficial for him. These amazing berries can bring both people and dogs some amazing benefits. Apart from being rich in minerals and vitamins A, B1, B2, and C, they help with urinary tract infections and help relieve pain associated with them. Cranberries are rich in polyphenol antioxidants which make them a great prevention for the formation of cancer cells. They can also boost the overall immune system, and improve memory and cardiovascular system. The usual way of serving cranberries is in form of juice, although you can find it in tabled and powder. You can serve them raw too if your dog likes them this way. 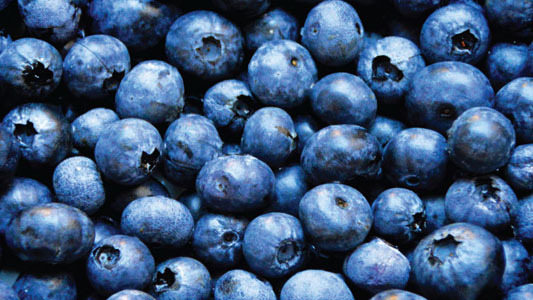 And another berry gets into the top 10 anti-cancer superfoods. As you probably know, blueberries are very healthy for us humans, but it turns out that dogs can enjoy all its benefits in the same manner as us. These berries are rich in vitamins C and K and provide a great source of fiber. Blueberries contain antioxidants that proved to be beneficial in fighting cancer and especially in reducing colon cancer cells. They might also make memory loss less probably in senior dogs and can also help in treating urinary tract infections. What about serving? Just wash them with clean water and serve them raw! Now you know that the most of superfoods suggested for a healthy human diet are also good for your dog. Be aware of the potential risk of canine cancer, and prevent it on time. In the end, by simply adding healthy treats to your dog’s nutrition occasionally might mean you will be able to play with your pet a bit longer. However, as we all know, dogs like to overindulge in food, so you have to make sure you define the quantity of the food. Moderation is the key here, so don’t overdo it when giving these superfoods to your dog. Treats from time to time are perfectly enough! Also, dogs break down food differently than us humans, so some benefits might not be the same. In most cases a correct food preparation will ensure that all the beneficial ingredients end up absorbed by your dog’s organism.